2. Writing our thoughts is less intimidating than speaking them. Introverts don’t like the spotlight. In fact, anything we can do to avoid it, we’ll do. When we write, we get our thoughts out without having to put ourselves physically out there. We can express ourselves freely, without being intimidated by a room full of eyes staring back at us. 3. We’re very aware of our surroundings. Introverts are generally great at reading people and have a keen awareness of our surroundings. We see the small details that others might miss, and we might pick up on the finer points of situations and conversations. When you’re writing, all you’ve got are your words, so you need to use them to fully convey the intricacies of what you’re saying. 4. We’re great listeners. Introverts tend to listen intently while someone is speaking, and we aren’t waiting to interrupt or throw our two cents in. “We introverts are the ideal listeners,” writer Carol Wise told me. “We’re content to sit back and listen.” As we listen, we gather tons of information that can provide us with a continual fountain of creativity. 5. Alone time is our favorite time. All an introvert wants is to be left alone (at least for a little while). We aren’t afraid of solitude. Because writing takes so much quiet reading, research, and actual writing, by its very nature, it requires you to be alone. Introverts thrive on running solo, so this makes writing a perfect pastime (or career) for us. 6. We can finally express all the ideas we have built up in our minds. Some people have no problem voicing their thoughts on everything to anyone who will lend an open ear. But, for introverts, getting our thoughts out isn’t always that easy. It can be a frightening thing for an introvert to engage in a conversation with someone they don’t know well, even if they have amazing things to say. “Because [introverts] are such keen observers, they’ve usually got lots of thoughts floating around in their heads, just waiting to get out there. Writing lets them do that,” writer Amber Coburn told me. 7. Writing is fun for us. 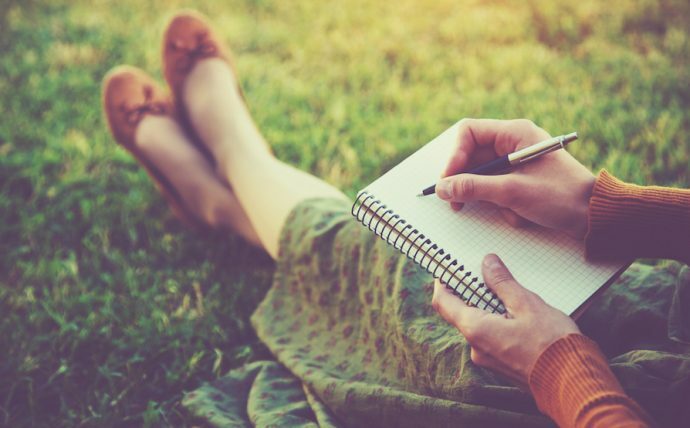 Not everyone enjoys putting pen to paper—or fingers to keyboard—but for many introverts, writing is a fun way to release our creativity. Not everyone is a great public speaker, or even comfortable having a face-to-face conversation. But introverts can use the traits of their nature to their advantage when they write. Writing makes it easy for introverts to be creative and participate in the conversation. So, if you enjoy your alone time, are an observant listener, and have something to say, writing might just be your calling. Gloria is a web content writer and an e-learning consultant from Manville City. She graduated from the University of Wyoming and works as a content writer and editor at UK Writings. She is a regular contributor to Huffington Post, Engadget, and others.